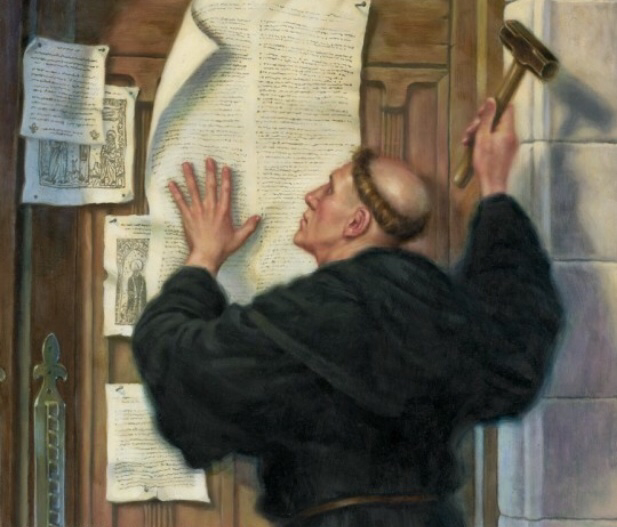 500 years ago today an obscure Augustinian, a professor of theology, a teacher of the Bible posted 95 ideas , arguments or questions for academic debate to the door of the castle church in Wittenberg, Germany. Martin Luther wanted to initiate a discussion about theology. Rather, the sparks from his hammer striking the nails that held his 95 Theses lit a fire of revolution in Europe. That revolution is known as the Protestant Reformation. In this final post that notes the recaptured Biblical Truths resulting from the Reformation, we focus on the priesthood of all believers. But you are a chosen race, a royal priesthood, a holy nation, a people for his own possession, that you may proclaim the excellencies of him who called you out of darkness into his marvelous light. Once you were not a people, but now you are God’s people; once you had not received mercy, but now you have received mercy. In the previous few posts we’ve considered biblical truths that were recaptured by the reformers. As priests, we are called to follow Jesus as His disciples. No one is better than another and we are all called to point one another to Him as fellow disciples who love God, neighbor, enemy and one another, in obedience to Jesus’ commands. These basic reminders are why it is important to remember the impact of the Reformation.